Please join CUNY DHI and the Digital Praxis Seminar for a talk by Simone Browne on race, surveillance, and technology. Since its emergence, surveillance studies has been primarily concerned with how and why populations are tracked, profiled, policed, and governed at state borders, in cities, at airports, in public and private spaces, through biometrics, closed-circuit television, identification documents, social media and other technologies. Also of focus are the many ways that those who are often subject to surveillance subvert, adopt, endorse, invite, resist, innovate, limit, comply with and monitor that very surveillance. As an interdisciplinary field of study the questions that shape surveillance studies center on the management of everyday and exceptional life – personal data, privacy, security, and terrorism, for example. While “race” might be a term found in the index of many of the recent edited collections and special journal issues dedicated to the study of surveillance, within the field questions of Blackness remain under-theorized. Situating Blackness as an absented presence in the field of surveillance studies, this talk questions how the intimate relation between branding and the black body – our biometric past – can allow us to think critically about our biometric present. 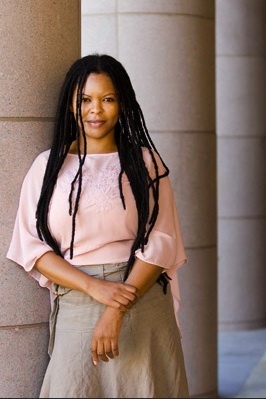 Simone Browne is Assistant Professor in the Department African and African Diaspora Studies at the University of Texas at Austin. She teaches and researches surveillance studies, biometrics, airport protocol, popular culture, digital media and black diaspora studies.